Bill Cosby is a multi-talented African-American and one of the world’s greatest entertainers. The star is not just an actor, he is also a stand-up comedian, a musician, and a producer. He is most famous for TV shows including I Spy, Fat Albert and The Cosby Show. However, in a rather unfortunate twist, Cosby’s legendary status became tarnished with numerous accusations of sexual misconduct towards the end of his career. That story isn’t too good, right? The great achiever William Henry Cosby Jr was born on July 12, 1937, in Philadelphia, Pennsylvania as one of the four sons of Anna Pearl, who was a maid, and William Henry Cosby Sr., a mess steward in the U.S. Navy. During his early days, Cosby attended Mary Channing Wister Public School in Philadelphia and was the class president, as well as the Baseball, track and field team captain. One would think responsibilities like that were only given to serious students, but that was not the case with Cosby, he was known as an unserious student who would while away his time clowning rather than studying. He also attended FitzSimons Junior High School where he was known as the class clown who delighted in creating fun wherever he goes. Soon enough, the young talent started taking part in school plays. Bill also went to Philadelphia’s Central High School, a college prep school where he played football, basketball and took part in other track and field events. He later transferred to Germantown High School, unfortunately, he failed in his tenth grade and instead of repeating, Cosby dropped out of High school entirely and got enlisted to serve in the U.S. Navy instead. During his four years service in the U.S. Navy, Cosby earned an equivalent of his High School Diploma with Correspondence Courses. Being a well-built athlete earned Bill a track and field scholarship to study at the Temple University in 1961. At the University, Cosby continued to use his skills as a clown to make people laugh. When he started working as a bartender at a Philadelphia club, he showcased his talent and made people laugh. His potentials earned him extra tips while at the club and this led Cosby to drop out of College to pursue his career in stand-up comedy. Bill Cosby’s career in stand-up comedy began when he started getting jobs at clubs in Philadelphia. As he gained popularity, he was invited to The Gaslight Cafe in New York City in 1961. He, however, extended to other parts of America including Las Vegas, San Francisco, Chicago, and Washington D.C.
Cosby rose to fame after he appeared on NBC’s The Tonight Show in 1963 which landed him a recording contract with Warner Bros. Records. 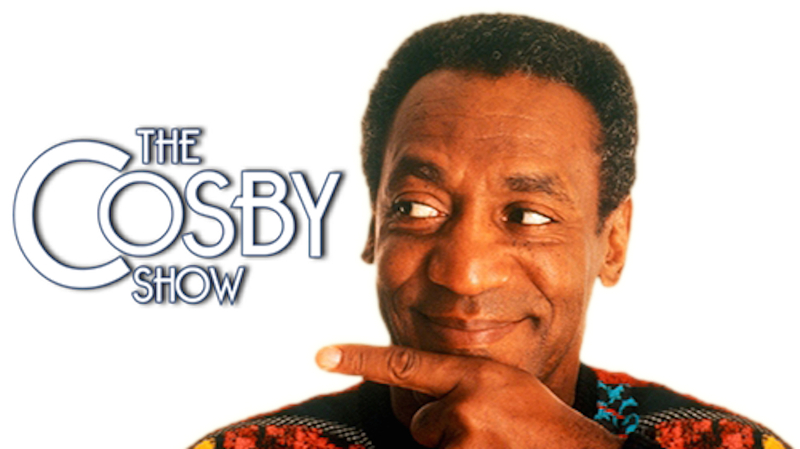 The youngster released his first debut comedy album titled Bill Cosby Is a Very Funny Fellow…Right! in 1964 and he followed it up in the same year with a second album, To Russel, My Brother, Whom I Slept With. The entertainer went on to make his first television debut in 1965, when he was starred in the I Spy Espionage, adventure series on NBC. He also started other projects like The Bill Cosby Show in 1984 and Fat Albert and The Cosby Kids. When the Cosby Show came to an end in 1992 after 8 years of running on NBC, Cosby did not seem to have reached the limit of his talent with the show. His film Leonard Part 6 which was produced in 1987 was considered one of the worst American films in history and that may have contributed to his downfall as an actor. The star, however, planned a come back in 1996 when he starred in Robbin Williams film Jack and a couple of movies including Little Bill in 1999 and Men of Honor in 2000. He is also an author and has written several bestselling books. Cosby was inducted into the Academy of Television Arts and Sciences Hall of Fame in 1994. The Cosby Show star is a protestant. He has a wife with whom he had four children – Ennis, Erika, Erinn, Ensa, and Evin. The couple also has three grandchildren. Cosby met his wife Camille Olivia Hanks during his comedy career and the couple got married on January 25, 1964. Their only son Ennis was murdered in 1997 while changing a flat tyre on the side of Interstate 405 in Los Angeles. Bill Cosby has been involved in so many celebrity death hoaxes. In 2012, rumors began to spread that the funny man had died when an “R.I.P. Bill Cosby” Facebook page surfaced, sending Twitter users into a frenzy. Fans worried that the former “Cosby Show” star had died, but they were quickly comforted when tweets started popping up declaring that reports about Cosby’s death were only a hoax. The Cosby show star also tweeted in confirmation that it was only a rumour and till date, he is still very much alive. With the fortune he has made from the entertainment industry, Cosby lived the good. He seemed to be keen on acquiring property at some point. He currently has mansions in different locations including Shelburne, Massachusetts and Cheltenham Pennsylvania. He currently resides in Shelburne, Massachusetts. As a comedian, actor, musician and author, the multi-talented African-American Bill Cosby has an estimated net worth of $400 million. He earned his net worth from his comedy albums, music, movies and his shows. Tony Parker’s Wife, Ex-wife And Sons.